If you are FRUSTRATED with not seeing results, my nutrition for fat loss system can help. I believe that most Americans are malnourished. Many people are confused about, what calories actually are, how fat is essential for burning fat, how muscle metabolism works and the difference between weight loss and fat loss. My nutrition for FAT LOSS system will make it easy for you to understand how the body works and how you can optimize your metabolism to get results. It is all about eating fresh “real” foods loaded with micro and macro nutrients. The key to losing fat weight is through a timed release exchange of nutrients throughout the day. One thing holds true in weight management and that is Energy Balance. Simply put, if you burn more energy than your body absorbs, you will burn fat. When food is absorbed into your body it must either be burned as energy or stored as fat. 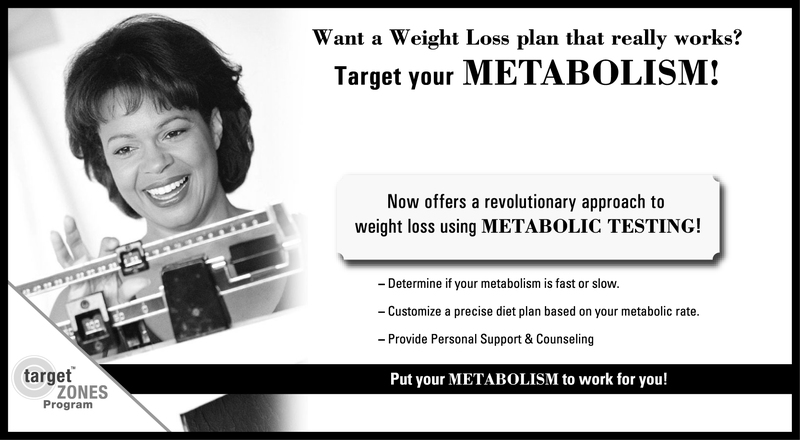 Knowing your metabolic rate helps you to know how to balance what you burn. Calories are how we measure the energy in the food we eat and the energy our body uses. Your metabolic rate is how many calories your body burns in a day. It is how fast your body burns energy. The trick is to balance the nutrients you eat with the energy needs of your metabolism. Measuring your metabolic rate is how we determine what is the right number of nutrients for your body– for your metabolism. I feel confident that you will feel and look better on my Nutrition for Fat Loss System. Call or Visit the Fitness Nut House today to schedule an appointment.